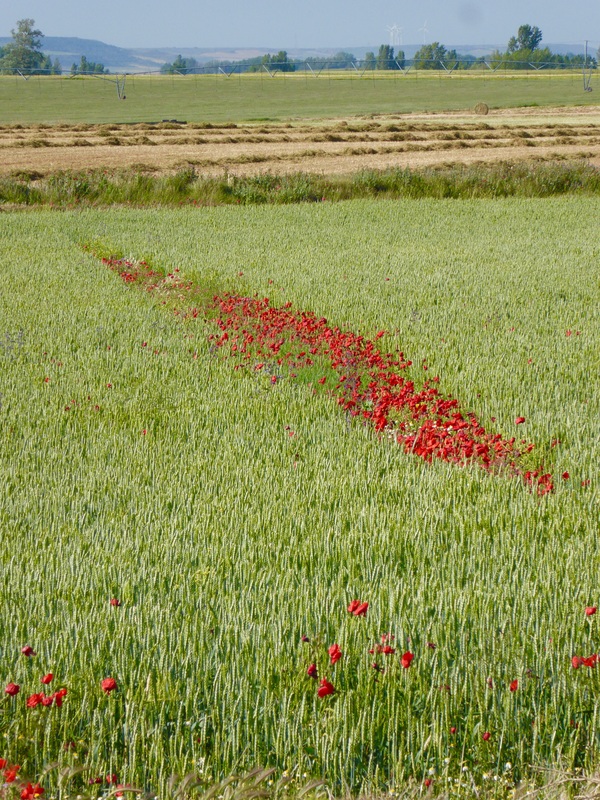 Lots and lots of poppies along the way at this time of year. Such brilliant colours against the different grain fields. 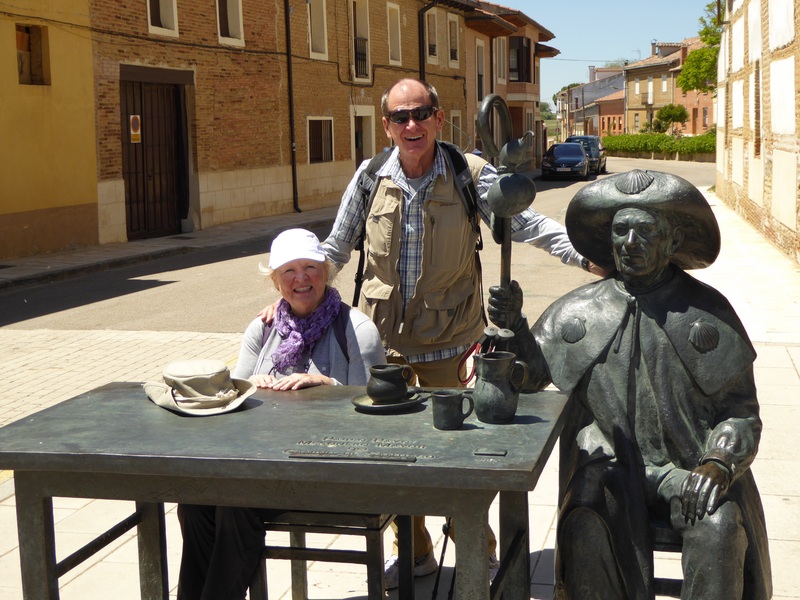 Towns along the Camino have many bronzed images. Here we are with a pilgrim priest. To the right, an indication of what is to come, sometimes as many as 4 or 5 pilgrims within a km of us. 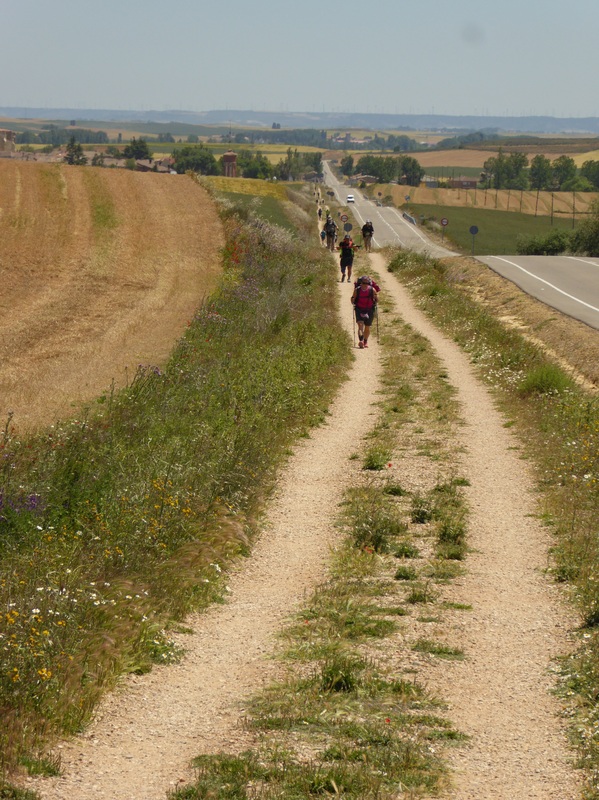 Here we are looking back, shows how flat the Meseta is. It’s about 8 km to the second tree line. 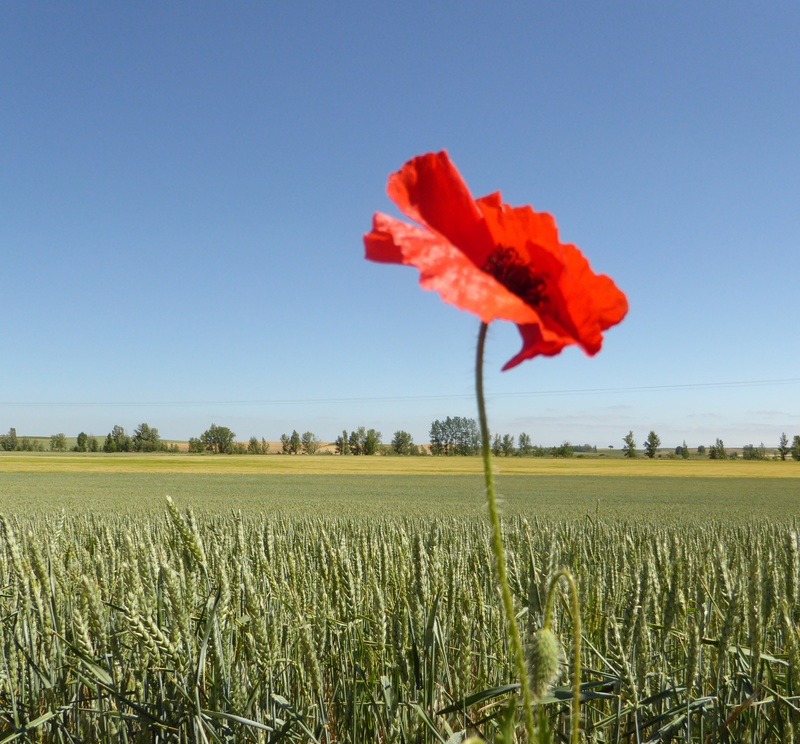 Another of the poppies along the way – no not that big! Shown here against a wheat field. That’s barley in the field in the distance. Another grain elevator but unlike the very few left on the Canadian prairies, these are cement and still in use. Pretty big, look at the car for a comparison. Those are London Plane trees – they are everywhere with most shaped by the practice of pollarding ( extreme pruning to provide a canopy ). Note the clock and the huge stork nest on the top of the tower. Our little rural hotel in Fromista was basic but spotlessly clean and the beds were comfortable. All the early departing pilgrims were considerate and despite the grand Romanesque church with its huge bells being right next door, we enjoyed a quiet night’s sleep. 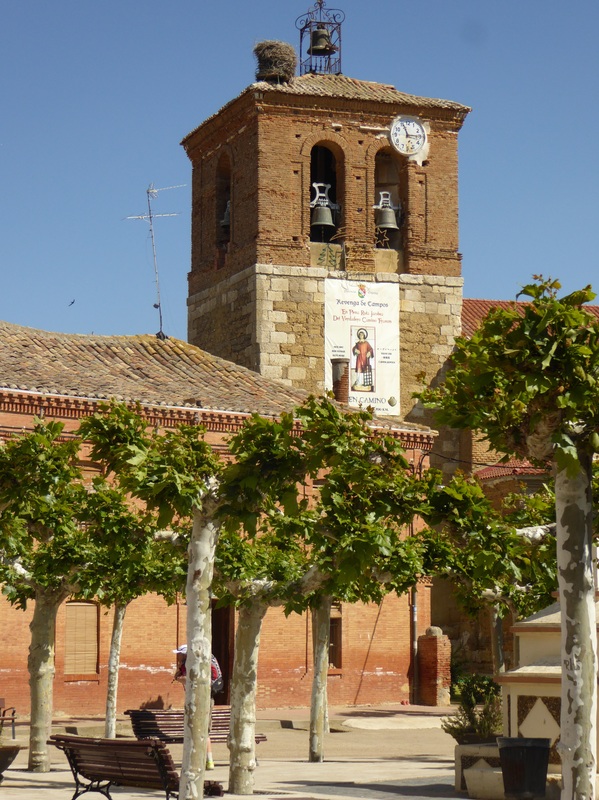 After a typical pilgrim’s breakfast of bread, cheese, thinly sliced ham, fruit and coffee, we headed out with clear blue skies and temperatures predicted to rise to 19 C.. We are still in the Meseta, the Great Plains of Spain. Despite the soil being like heavy clay it must be nutrient-rich as the crops are abundant. Today’s route was a gravel path called an ” andadero “‘ along the main highway.It was especially built for pilgrims and is safe except there is no shade. Much of the time we were knee deep in poppies and daisies which was lovely.There was a moderate incline today but the walk was not difficult. Most days we would not choose to walk next to traffic but the alternate route offered no food or water enroute. We are encountering more pilgrims on this half of the Camino but still we have periods of blessed solitude throughout our day. At our morning coffee stop we met a newly retired woman from New Zealand who is walking the Camino alone. At supper tonight a fellow pilgrim from Germany joined us. . It is always interesting to hear other pilgrim’s stories. 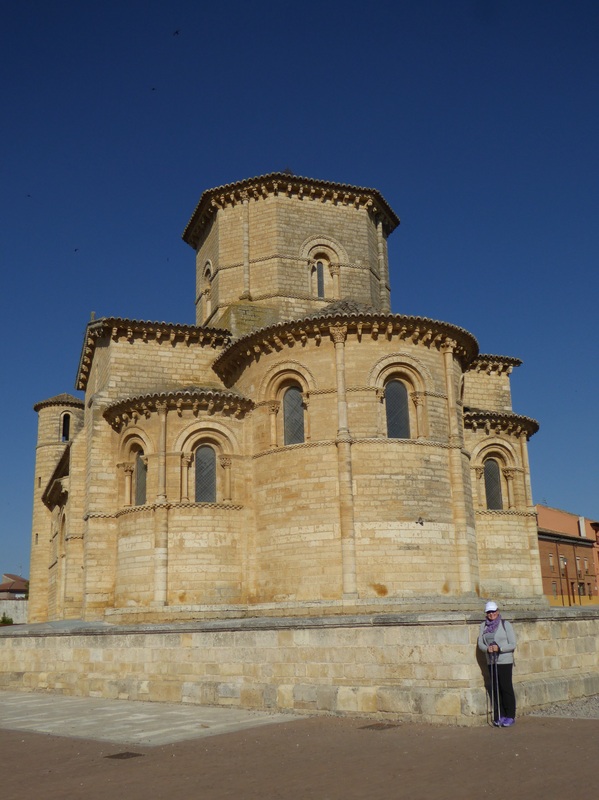 We are staying in an old monastery ( built in 1066) tonight in Carrion de Los Condes. Despite what the name may conjur up in English the town has nothing to do with vultures. 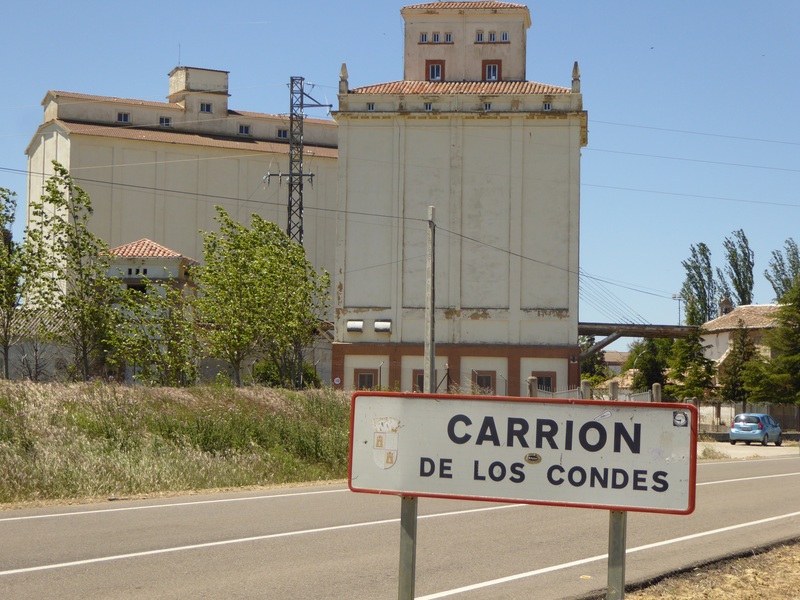 It is the name of a count who drove the Moors out of this part of Spain.. Carrion de Los Condes is an important part of the Camino as the monasteries here have offered help to pilgrims for hundreds of years.. Sounds like you are off to a great start. I showed Clara the pictures and where you are on the map. She asked how you got there. Love the blog; it is part of our morning routine – reading about your pilgrimage while we enjoy coffee on our deck. Be safe. I love reading these! Enjoy the adventure! !